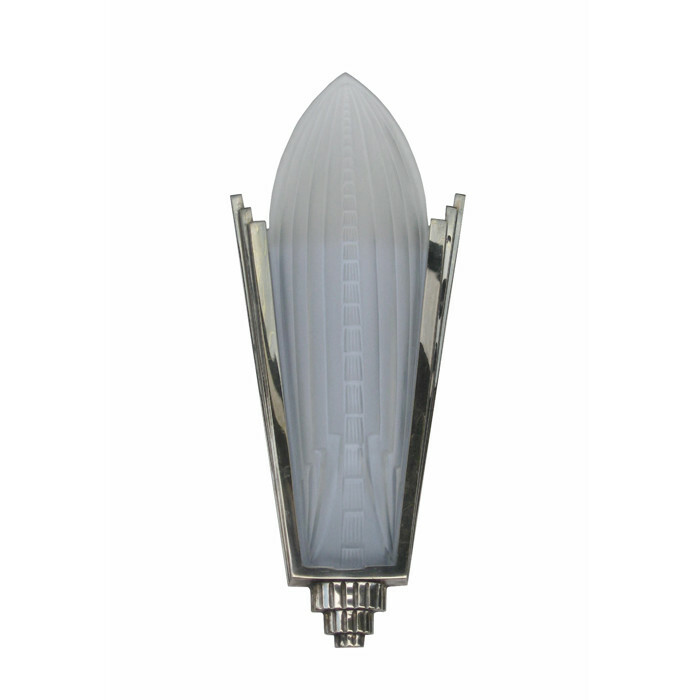 A pair of Art Deco wall sconces designed by Genet et Michon. Nickeled bronze with the original pressed glass inserts. Dimensions: H:18½ W:8 D:4 Inches.